Founded in 1986, ACCULAB has grown from a small New England electronic and biomedical calibration service company to North America’s Quality Leader in commercial calibration, instrument repair, and compliance metrology. 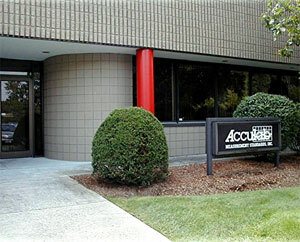 Today, ACCULAB’S capabilities span the entire spectrum of Test and Measurement Equipment. 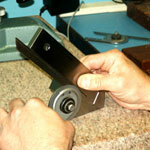 From our state-of-the-art (6200 sq./ft.) standards laboratory and repair facility (located in Danvers, Massachusetts) ACCULAB is equipped to offer the HIGHEST level of service Quality while providing the LOWEST Measurement Uncertainty factors. To ensure our customers a “Direct and Unbroken Chain of Traceability” ACCULAB utilizes the NIST (National Institute of Standards and Technology, formerly NBS) for PRIMARY standards calibration. ACCULAB’S active participation in industry organizations such as NCSL (National Conference of Standards Laboratories) reinforces our commitment to remaining current with all calibration system quality and regulatory requirements and trends. In keeping with our mission of providing the highest level of quality and service, ACCULAB customers reap the additional benefit of immediate “Real Time” [Internet] access to their calibration records through METROLOGY X-PLORER, our “On-line” Calibration Management system. ACCULAB’S comprehensive capabilities, vision, and commitment to Total Customer Service ensure you’ll receive the world-class calibration system required for today’s competitive business environment.